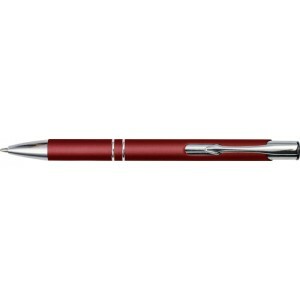 Aluminium pen set with ballpoint pen and roller pen, with shiny barrel and milled aluminium decoration. In black gift box with blue refill. 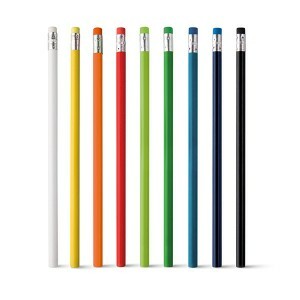 Metal, rubberized ballpen, with two silver-coloured rings and a silver tip and clip. Blue ink. Plastic ballpoint pen with thermometer. With blue refill.